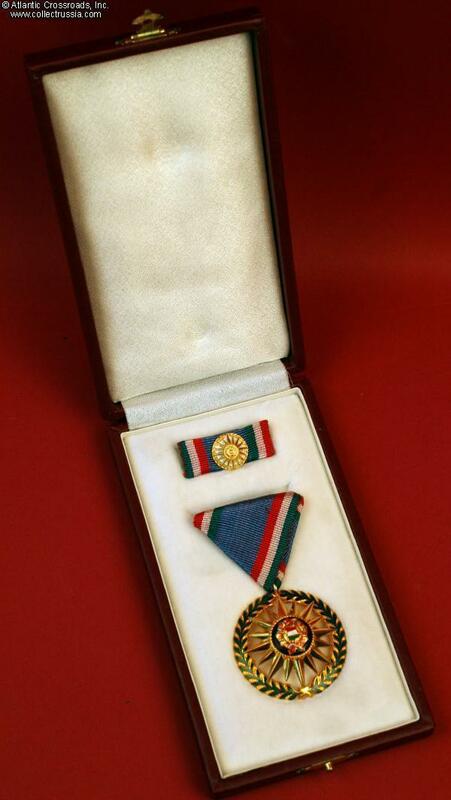 1976 Order of Merit for Socialist Hungary in presentation case. The medal is 44mm in diameter and in basically pristine condition. 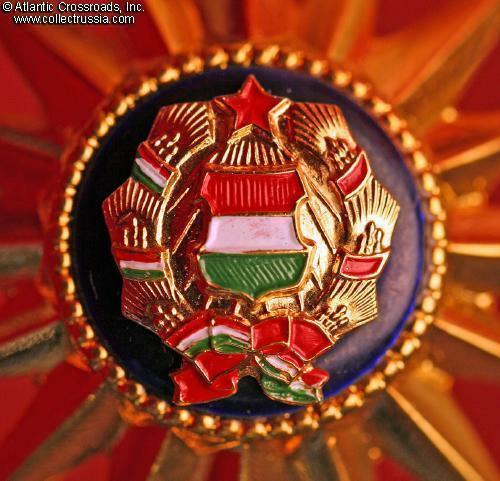 The details on the central coat of arms are hand painted instead of enameled. 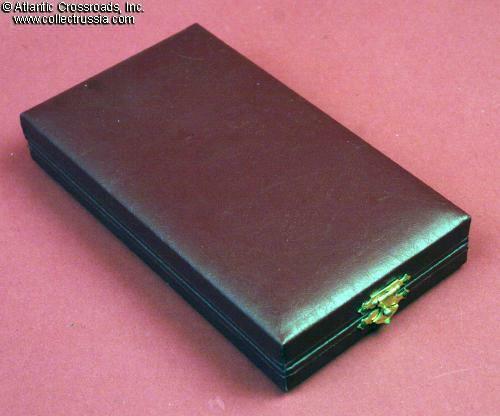 The maroon presentation box is 90mm x 160mm x 31mm. 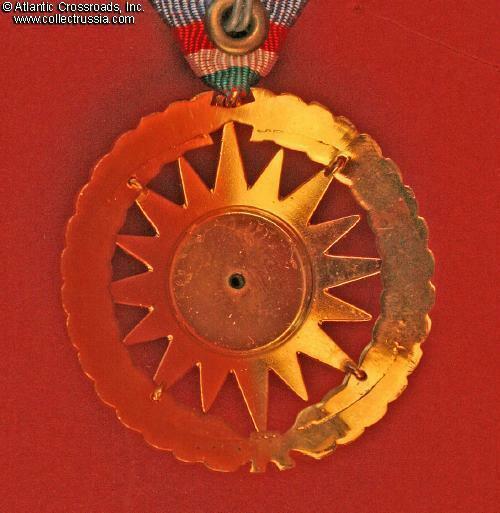 The 15mm x 39mm ribbon bar bears a metal device 15mm in diameter that reproduces the design of the medal. 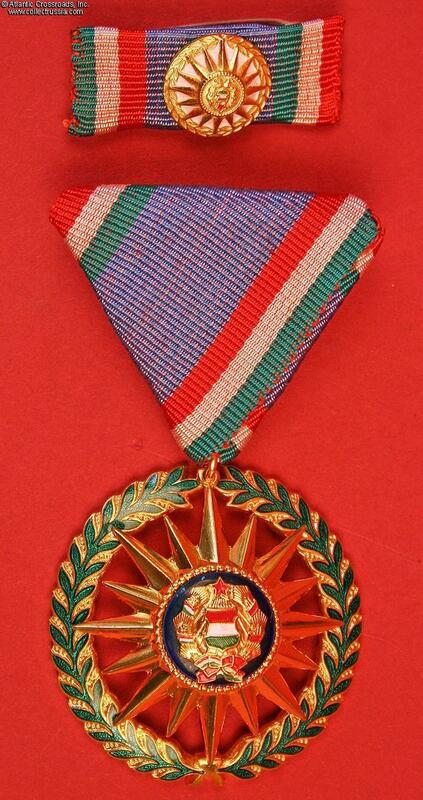 With the exception of the ubiquitous presence of the very tiny red star in the coat of arms, the design of this award would seem to indicate that the authorizing agency was seeking to create an award that was simply aesthetically pleasing and not at all traditionally "socialist" in design!